Over the last half a year, I’ve been sick more times than I can count. And I’ve probably had a bug more times in this short period than in the last five years combined. Some friends and family have commented on my predicament, and the best I can do is explain that this first year of exposure to germs through preschool is kicking our butts. I highly underestimated how crazy things can get when you leave that bubble of being at home most of the time. Rather than dwell on the misfortunate of having 18 other kids (their siblings, their families, etc.) and their sniffles and fevers to worry about, I’m being proactive. Diet has a powerful impact on how our bodies operate and deal with germs and sickness. 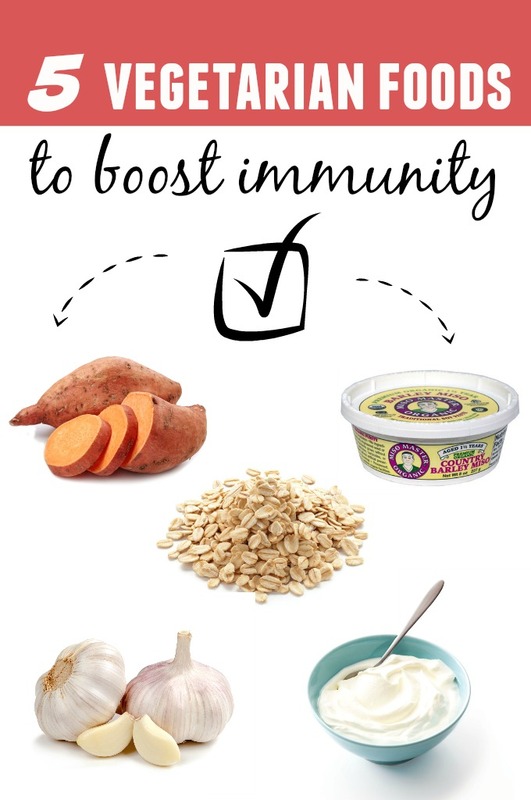 So, I’m incorporating more and more immune-boosting foods into our everyday lives. The next time we get a letter saying we’ve been exposed to STREP or something else, I’ll take a deep breath and know at least we’re doing all we can do to prevent the worst from festering. I’ve been meaning to write more about our dairy intake these days. Yogurt is one of those foods we always have on hand, though the exact type changes from week to week. We’ll do plain non-fat, Greek, Icelandic style, etc. All for those probiotics that keep the gut and intestinal tract happy. I spent a good part of my life hating yogurt, so if you have trouble with the taste or texture, try adding it to a smoothie. I also love kefir, which is a yogurt-like beverage you can find at most stores. Get this: We can even get a delicious kefir at our local Aldi on the cheap. (Here’s more about shopping at Aldi.) The name comes from the Turkish word "keif" which means good feeling. In the bottle, you’ll unlock probiotics, calcium, tryptophan (making it a great before bed treat), protein, B vitamins, and even phosphorus. Ada loves eating “mush” each morning, so we’ve gotten into quite an oats habit over here. And it’s a good thing, since oats contain tons of soluble fiber that lowers cholesterol and helps to fight inflammation. In a study conducted by the University of Illinois, lab rats were fed diets with different fiber content (soluble versus insoluble) and then injected with illness. Those rats who ate the soluble fiber diets recovered from sickness 50 percent faster than the others. Impressive findings. I remember several years back when taking garlic pills was all the rage. It may still be a popular supplement, but adding garlic to your diet has some major benefits. It’s actually an immunity-boosting superstar! Why? Well -- along with calcium and potassium -- it contains 100 sulfuric compounds that work to wipe out bacteria and infection. Chives, leeks, onions, and shallots have similar benefits -- so add these guys to your cooking routine for better health. Plus, it just tastes good. I’ll admit I had some sweet potato fatigue -- especially when they became a staple of the most popular diets around these days. But we’re adding them back to our weekly cart because (fad or not), they pack some major nutrition. Sweet potatoes contain phytonutrient beta carotene, which your body turns into vitamin A -- fighting off infection and bolstering the immune system. Pumpkins and carrots pack a similar punch, but sweet potatoes also contain a nice dose of vitamin C.
Just like kefir, miso is one of those living cultured foods with innumerable benefits for the immune system. Fermented foods -- like miso, kefir, kimchee, sauerkraut, etc. -- increase antibodies and create antioxidants to fight off free radicals. Not only that, they also help with digestion. Now, when you’re purchasing these foods, you want to make sure they aren’t pasteurized or processed, which basically kills off all the benefit. The same goes with using in cooking. For example, if you’re making miso soup, don’t boil the miso (it will kill the good stuff). Instead, simmer it to help release all the good enzymes. I’ll be back someday soon with some recipes that incorporate these ingredients. But I’d love to know what you’ve done to keep your family’s immune systems strong during cold and flu season. We also take multivitamins and try to get in lots of greens and other fruits and veggies. I’ve noticed a huge number of pluses since I started my green smoothie routine again. Here are some tips of blending the best green smoothie ever. I’m off to make mine now . . .